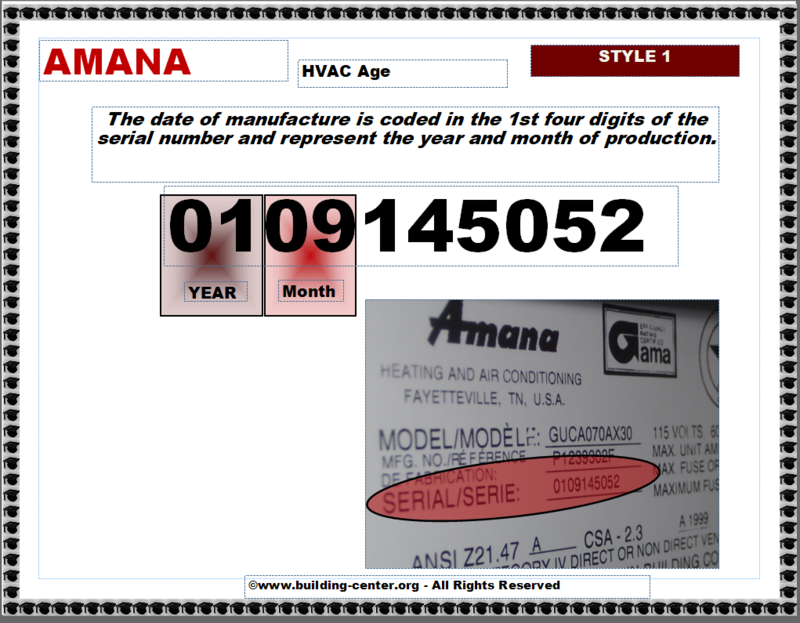 How to determine the date of production/manufacture or age of Amana® HVAC Systems. 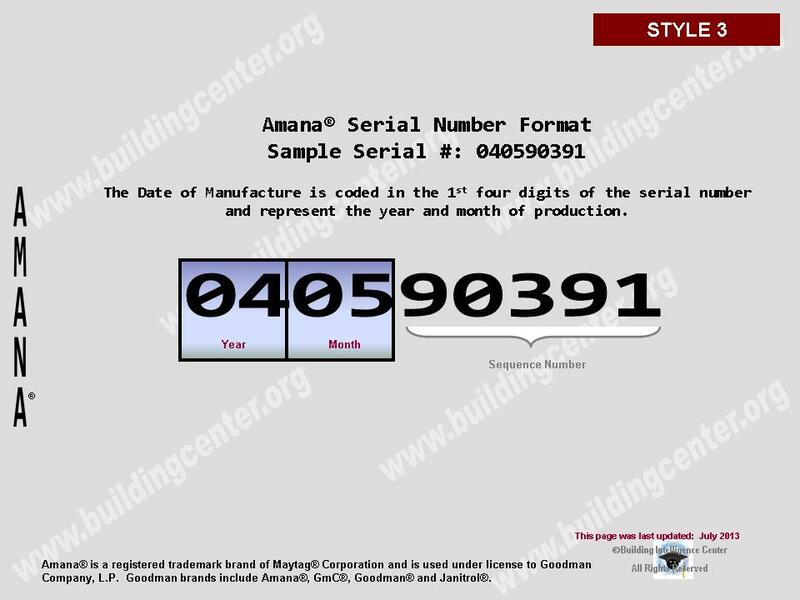 The date of production/manufacture or age of Amana® HVAC equipment can be determined from the serial number located on the data plate. Parent Company: Amana® is a registered trademark brand of Maytag® Corporation and is used under license to Goodman Company, L.P. Description: Ten (10) character all numerical digit Serial number. Year of manufacture is 1st – 2nd combined digits. Month of manufacture is 3rd – 4th combined digits. 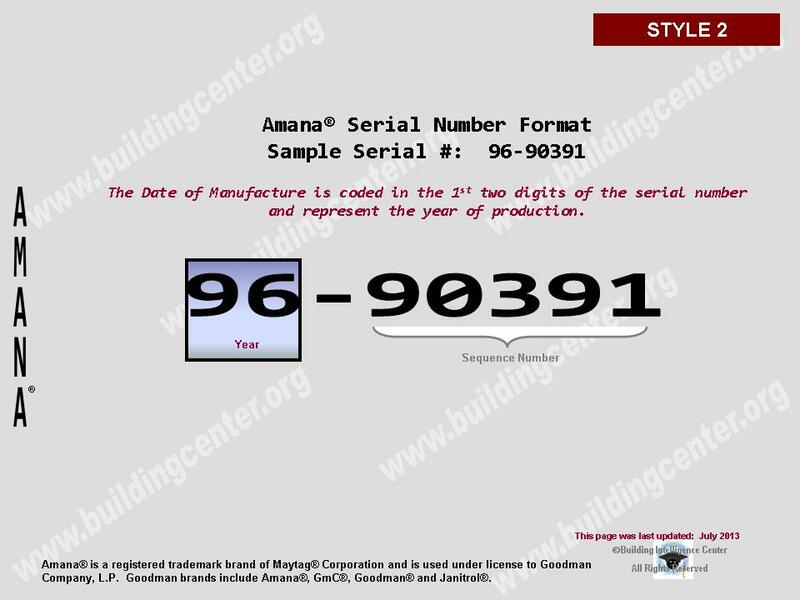 Description: Eight digits (including dash) serial number. Year of manufacture is 1st – 2nd digits. Description: Nine (9) character all numerical serial number, similar to Style 1 above. Year of manufacture is 1st two digits. Month of manufacture is 3rd – 4th digits.